Delay Lama Vocal Formant / Singing Monk VST by AudioNerdz | VST A Day - One Free VST Every Single Day! Delay Lama VST is somewhat a classic. It was first released in 2002 by AudioNerdz, and has popped up in quite a lot of produced music since then. You may recognize the sound quite quickly, after loading the software for the first time. Delay Lama is available as both a Windows and Mac OSX VST. If you have an issue on your machine, because of a platform or operating system incompatibility – please let us know in the comments section below. Because the effect has existed and been amply used for quite some time, it would be a good idea to effect the output significantly. You can use the built in tuning effects, or chain it to a distortion, like the competent Super Angry Distortion by Rancorsoft, which we prefer. A chorus, reverb, filter array, gate or other effect may also be prudent – check our other posts for ideas! The built in Stereo Delay can absolutely craft some unique and interesting effects, if you prefer to stay more “in the box”. Definitely give it a try; it may turn out that all you need is right there already waiting for you. In any case, we recommend giving this software a download, and playing with it until you find something that strikes your own personal fancy. The first VST’s innovative monophonic vocal synthesis engine enables your pc to sound the same as an Eastern monk, with realtime, high resolution control on the vowel sound. 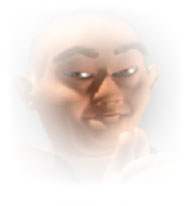 What is more, the plugin window shows a 3D animation of a singing monk, that responds to your own stimulation! Delay Lama look just like a singing Tibetan monk and makes your computer sound. Delay Lama is the primary software synthesizer that features a real time 3D animated interface and both vocal synthesis, which responds to musical gestures in the user. For an additional effect that is mystical, Delay Lama has a stereo delay that is straightforward, but very useful.